New Law Implements A Recommendation of the Senate Task Force on Lyme and Tick-Borne Diseases. Long Island, NY - December 20, 2014 - Senator Ken LaValle, Co-Chair of the Majority Coalition’s Task Force on Lyme and Tick-Borne Diseases, announced the signing of a new law that will help doctors better treat patients with symptoms of Lyme and other tick-borne diseases. The law (S7854, Chapter 532) was the product of recommendations included in a report compiled by the Senate Majority Coalition’s Task Force on Lyme and Tick-Borne Diseases. The Senate Task Force on Lyme and Tick-Borne Diseases was created in October 2013 to examine state and federal efforts to combat the continued spread of these diseases and make recommendations for a state action plan to improve prevention, diagnosis, and treatment. The CDC now estimates that there are 300,000 cases of Lyme disease each year, the vast majority of which are centered in the Northeast. A report issued by the Task Force included the recommendation of legislation codifying existing Office of Professional Medical Conduct (OPMC) guidance to maintain a flexible, case-specific, investigations policy, particularly where new treatments and acceptance by the medical community do not align. 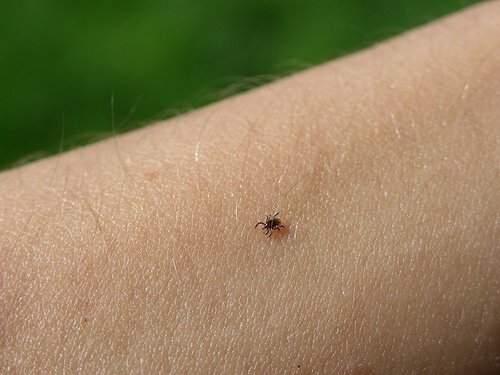 Some individuals infected with Lyme disease may benefit from alternative medical treatment that is not universally accepted by the medical community. Too often, doctors choose not to pursue the alternative treatment – even if they believe it is best for the patient – fearing an investigation or charges by OPMC. This new law ensures that determinations of effective and appropriate treatment of Lyme and other illnesses remain in the hands of medical professionals and does not subject practitioners to OPMC investigation or charges based solely on their recommendation or provision of an innovative and effective treatment. At the same time, this law preserves OPMC’s ability to protect patients and the public when valid complaints are received. Subject: LongIsland.com - Your Name sent you Article details of "Senator LaValle Announces New Law To Help Address Lyme Disease In New York"